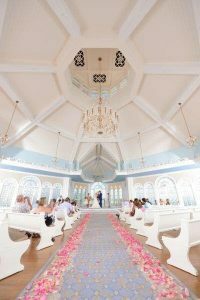 Because Wishes Collection floral and decor is completely customizable, with almost endless options and numerous factors determining the costs, Disney doesn’t provide a list of standard offerings. 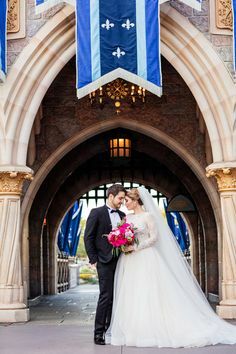 Traditionally, couples provide Disney with photos of the overall or specific look they want, and Disney comes back with available options and pricing. Floral prices depend on the type of flowers and the time of year. Unlike many florists, the Walt Disney World Florist will not create mockups of centerpieces and other floral arrangements for your approval. 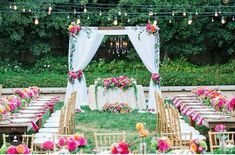 Using an outside floral and decor vendor will often save 50% or more on Disney’s prices or provide much more bang for you buck. 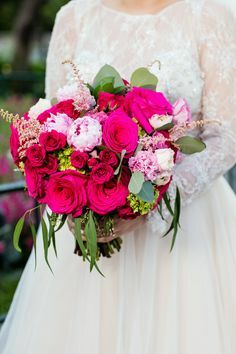 You may use an outside florist for personal floral (bouquets, boutonnieres, corsages) no matter where your wedding and reception are held. 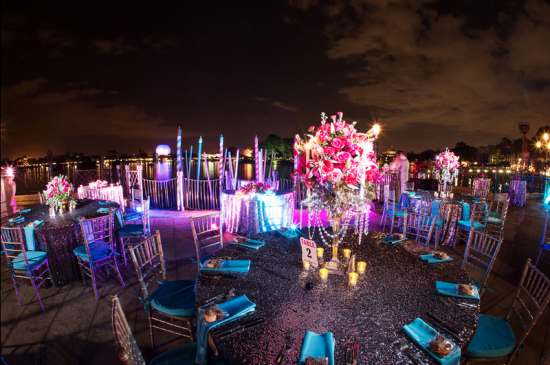 You may use an outside vendor for reception floral and decor (centerpieces, chairs, linens, dance floors, etc.) 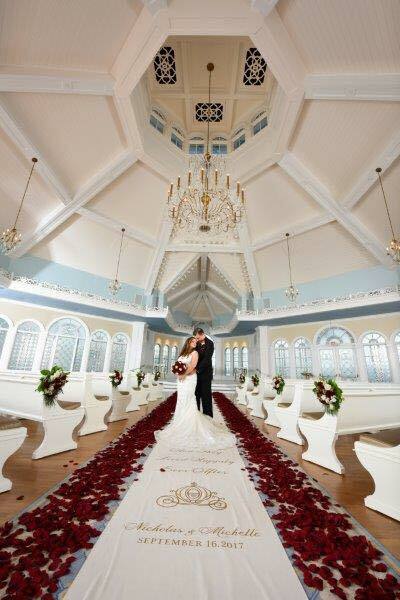 only in Disney’s ballrooms. 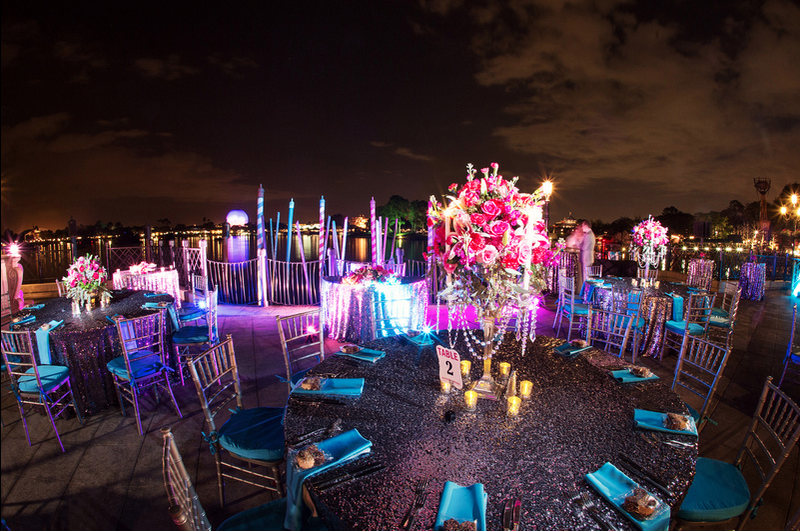 One strategy for containing costs is to provide Disney with an overall idea of colors or flowers but set a budget for each item. 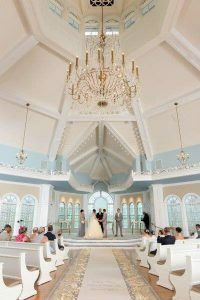 For example, you can ask for a $250 bridal bouquet, $100 bridesmaids’ bouquets and $250 worth of aisle petals in, say, a mix of pinks and oranges or inspired by a particular photo. It helps if the type of flower is less important than the color, but you can always tell them if there are specific flowers you want or you want to avoid. 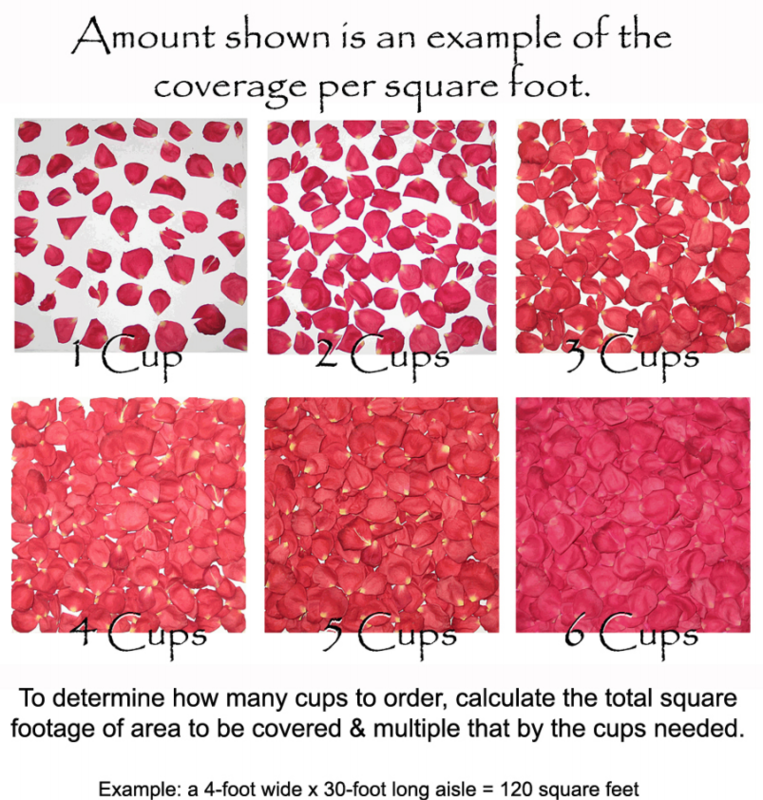 This image created by Flyboy Naturals shows you what various amounts of petals look like in one square foot. 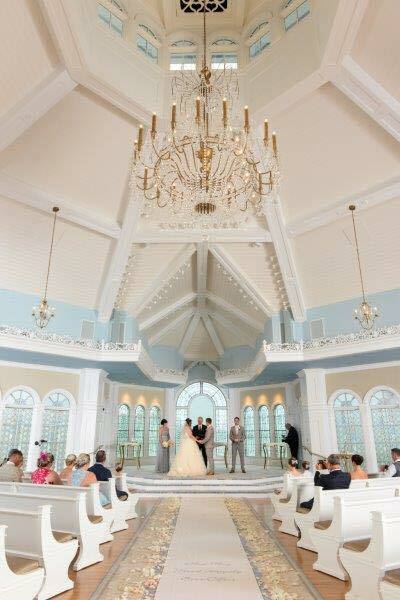 For reference, the aisle at the Wedding Pavilion is 7.5 feet wide by 54 feet from the door to the bottom step of the altar. Here are some resources to help you begin planning…. 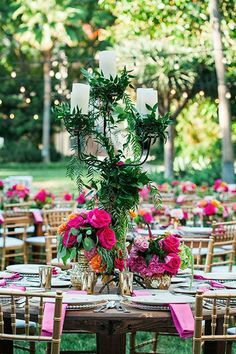 How to Get the Floral & Decor You Want at a Price You Can Afford: The Sequel! 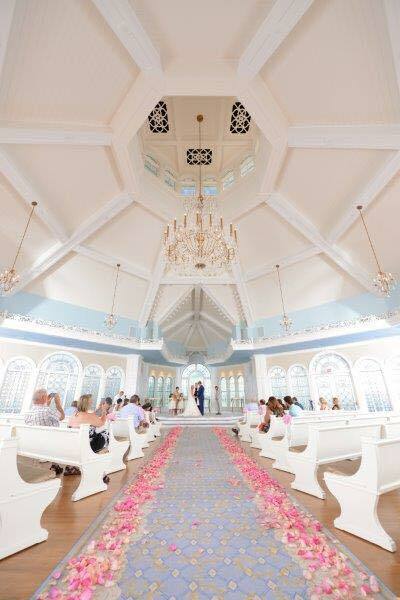 See page 108 of Carrie Hayward’s Fairytale Weddings Guide.